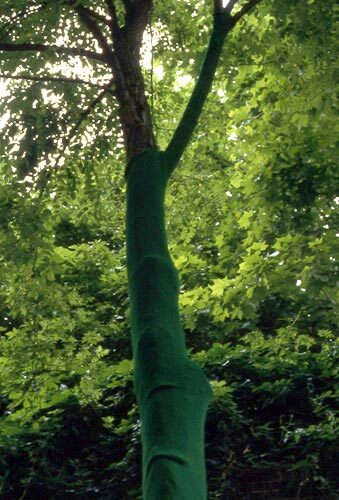 Robinia tree and knitted wool. Approx 700cm ht x 90cm girth. Museum of Garden History with Danielle Arnaud Gallery, London.